"This is a joke right? I mean this is the stupidest thing I've ever read." The Lifeways editor is the editor of the Lifeways section of the Springfield Shopper. He made Homer a food critic. 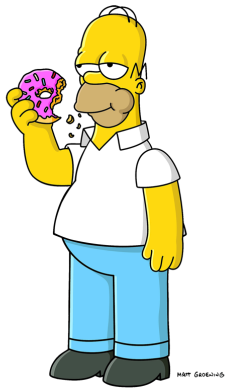 During Trappuccino he was part of the angry mob going after Homer for polluting Lake Springfield and getting the town trapped under the Dome. He was seen in the audience for American Idol. Modified on May 1, 2017, at 10:06.